While we're just a few weeks into 2016, the year ahead will give fans several highly-anticipated movies, including Batman v Superman: Dawn of Justice, Captain America: Civil War and Rogue One: A Star Wars Story. This summer will also mark the return of another beloved icon, Matt Damon's Jason Bourne in a project that is currently known as the Untitled Next Bourne Chapter. With the July 29 release date rapidly approaching, many have been wondering when the first trailer may arrive, and it seems we may have our answer. 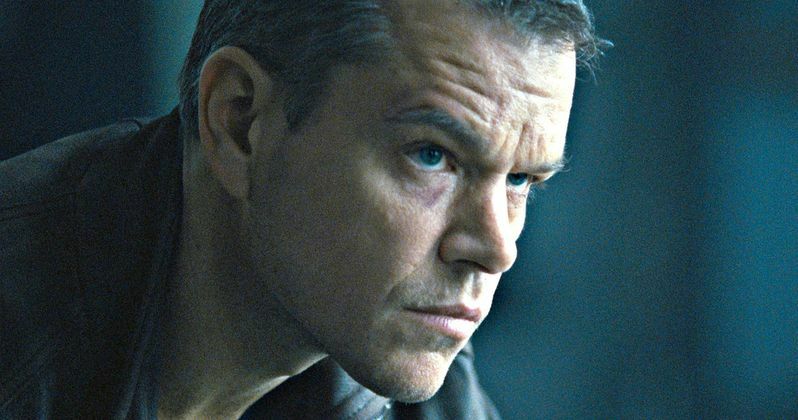 /Film noticed a now-deleted Facebook post from Bourne author Erik Van Lustbader, who revealed that the trailer will debut during Super Bowl 50. The author, who took over the book franchise after the death of Robert Ludlum, also teased that the full title will be revealed as well. Here's what he had to say on his Facebook page, before deleting the post entirely. "BREAKING NEWS! The first trailer for the new Bourne film will be shown during this year's Super Bowl telecast. At that time I believe you'll find out the title of the film. (I know it, but I'm sworn to secrecy). So tune in on February 7th to check out all the excitement. I, for one, can't wait!!!" Last month, we got our first official look at Matt Damon as Jason Bourne in this untitled adventure. As far as the title goes, all of the Bourne movies have been named after the books, with /Film speculating that this project could be named after the fifth book, The Bourne Betrayal. Barring any last-minute leaks, we only have a few more days to find out the title, if this footage is in fact debuting during Super Bowl 50. Matt Damon is joined by new cast additions such as Alicia Vikander, Tommy Lee Jones and Vincent Cassel. Tommy Lee Jones is said to be playing a high-ranking CIA official. Vincent Cassel is playing the villain, described as a deadly assassin, with Alicia Vikander playing a cyber-specialist. Julia Stiles is also returning as Nicky from the original trilogy, with other supporting cast members include Riz Ahmed, Neve Gachev and Scott Shepherd. Are you looking forward to the Bourne 5 trailer?